We all know that the role a contact centre plays in delivering customer relations is critical to most organisations, and that the common denominator of success is how well they deal with customer enquiries and provide a service that is appropriate to their needs. But for many organisations, the pressure to deliver challenging business results on a day-by-day basis while managing tight budgets can be too much – even more so when one considers the added difficulties of motivating and managing staff. For many organisations, outsourcing is the only viable solution. But just how do you ensure that your chosen partner meets your business expectations? While there are plenty of good examples of outsourcing relationships out there, we all too often hear about the bad and ugly ones too. Those where expected cost savings are not realised, or where contact handling service levels – in terms of calls answered – are not met. Where technology systems are not made available to the agents taking the calls, resulting in a higher than expected level of call transfers and escalations back to the ‘parent’ organisation, or where changes in requirements are not accommodated by the service provider. In every case, you can bet your bottom dollar that customer satisfaction levels reduce. Outsourcing case study – what does good look like? One of RXP’s most pleasant tasks this summer has been to help an outsourcer to review and draft some customer stories in the form of case studies. What struck us was that what was being demonstrated were a number of the key success criteria that we also recognise – outsourcing was the right strategy; the outsourcer was a flexible service provider; and an ethos of continuous improvement demonstrated a true partnership mindset. Here is their story:Imagine that you are the proud owner of a small, independent but thriving dry-cleaning business. One day, a flat above your shop is gutted by fire. Fire fighters’ hoses have flooded your business with filthy, black water. Most of your stock is damaged, maybe destroyed beyond repair. You call up your insurance company and, to your surprise, they immediately send out a qualified textile restoration technician who carries out a full inventory. Within three days you are handing back the clothes in your shop to their owners – as if nothing had happened. Your business has survived a real disaster.This is a true story. The shop owner is a company called Cleaners-A-Whistle and the fire happened in South London, UK, in November 2004. That restoration service was carried out by British firm Certified Restoration Drycleaning Network (CRDN), and the claims cost to the insurance company from restoration was just 25% of the potential cost of replacement.CRDN provides its on-call services 24 hours a day, seven days a week. But being a credible supplier to the insurance industry goes beyond a round-a-clock service. It is also vital that the company can compete as a large player and an industry expert in the market, has systems and processes in place that can be executed on a national basis, and that it has a straightforward and transparent process for claims allocation. CRDN is growing fast – its turnover is doubling year-on-year. But it recognised at the outset that call handling was not its core competence and looked to find an outsource partner to be an extension of its brand, providing the same high quality of customer care. Cue ComXo, which has done everything it can to make CRDN feel like a ‘big fish’ in the ComXo pond. What’s particularly good about the relationship is that both parties have been keen to invest in it. For its part, CRDN has educated ComXo on the needs of the insurance industry and its unique business drivers. Conversely, ComXo has educated CRDN on how its other clients have solved similar call handling and process escalation problems. Between them, they have jointly defined and implemented a claims allocation system that is executed by ComXo as part of first line contact handling, yet is still controlled by CRDN in terms of managing its restoration franchise partners. Moreover, ComXo has helped CRDN to develop its internal processes so there is a consistency of service, available 24/7. ComXo has provided CRDN with online access to its performance information, too. Now, CRDN can see the number of calls handled, together with the time of day distribution and service level performance. And CRDN has extended this online access to retrieve process information about the claims calls handled – that is, where ComXo call handling is providing more complex first line support and full-resolution of enquiries. In addition, an internally developed customer database (Patheos) has been built to support these enquiries and processes. CRDN operates a service level process which means a response to the policy holder must be made within two hours of the initial call in to the ComXo call centre. The ComXo systems ensure that this service agreement is successfully adhered to. And what does that mean in practice? Well, on Sunday 12 December 2005, many residents in Hertfordshire, UK, were woken up at around 6am by a loud bang. As the dawn broke, the origin was clear to see as a black plume of smoke rose above the burning oil depot at Hemel Hempstead. Within 40 minutes, before many of us were out of bed, CRDN and ComXo had put in place their contingency ‘surge’ plan. They were primed for a series of both commercial and domestic claims from insurance companies looking to manage their own claims exposure by using restoration services. A particularly salient example would be from those looking to clean fabrics from a lounge soiled by chimney soot that was dislodged by the aftershocks of the explosion. For four days, CRDN was on high alert – ready to respond to claim requests within two hours. In practice, due to dry and still weather conditions, the plume of acrid smoke from the burning fire dispersed directly in to the atmosphere and the expected rush of claims did not actually happen. But the lasting memory for CRDN, its restoration partners and its insurance company customers has been one of a highly professional company that was geared up for an emergency in an instant. For ComXo, who provides a business continuity service, it was just business as usual. The positive thing to take away from these scare stories is that the problems are actually avoidable. Why? Because the root cause of these issues reaches back to understanding the business rationale for outsourcing and then executing a coherent approach to achieving those aims. 1) How does call centre outsourcing fit in with your strategic objectives? Look for other elements in your organisation that have already been outsourced and gauge whether they are deemed to be a success. 2) What are the reasons for and against outsourcing? There are always pros and cons to any decision and it is important to understand different stakeholder viewpoints. Also don’t forget that if you have an existing operation, then the transition to an outsourced service provider is a significant change management activity in itself. 3) What are the success factors in judging whether outsourcing is right for your business? There will be an impact on effectiveness – most significantly the customer experience – as well as an impact on cost in terms of investment and operating expenditure. 4) What are the benefits or returns of outsourcing the operation – tangible and intangible? How do these compare with internal operations? Your finance department will want to assess future operational savings against the cost of set-up and transition to produce an overall return on investment (ROI) analysis, but there are also other less tangible factors that need to be borne in mind, particularly around external customer perception. 5) How critical is the outsourced function to your business success? While it is always a good idea to appoint a senior manager who will be responsible for managing the outsourced function, you can never expect a third party organisation to know your business better than you do. 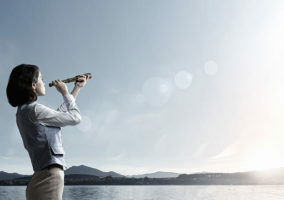 In essence, if you have agreement with key stakeholders on the answers to these key strategy questions, you will already have a pretty good idea about what you want to achieve, the risks and issues that you face, and how to keep your staff and customers ‘on board’ with you during the transition. In other words, you now have the map, know where you are starting from and the direction to aim for. The next step, of course, is to find the right outsourcing service partner. There are over 300 outsourcers in the UK to choose from and the services supported range from customer care, telemarketing – inbound and outbound – technical support, online channel support and switchboard/reception call handling to debt collection and market research. With this breadth of services and the diversity of suppliers, how do you choose? What knowledge does the outsourcer need to have to understand your business/industry. Is past experience of dealing with your service a prerequisite? The mindset of the outsourcer to work as a partner rather than a supplier. Many outsourcers operate at arm’s length from your organisation and just ‘deal with’ calls. A partnering approach is one where the supplier invests in the relationship and is looking for ways in which they can add value to your business beyond just making/taking calls. Size of operation. Would you rather be a big fish in a small pool? A large outsourcer offers a comfort blanket of scale and security, but how well will they focus on your individual needs? A niche operation that offers specialised experience could be a better bet. Armed with an understanding of the type of companies that you would trust with your business, you then need to start a dialogue with a potential provider. Remember, there will be many, many things that they want to know. 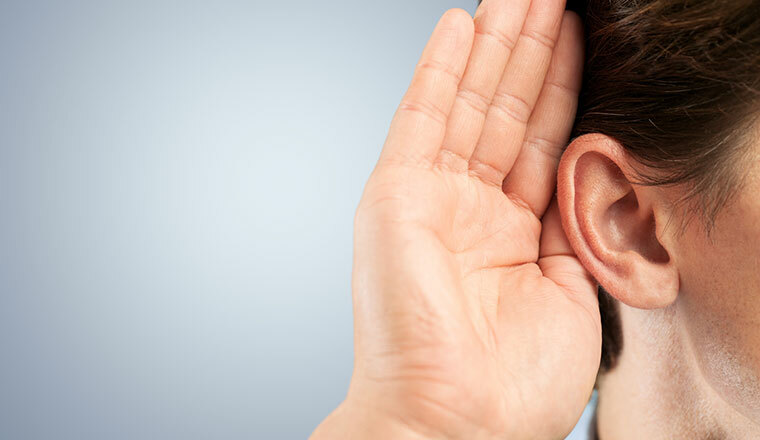 How many calls; the call duration; the training materials available; how they will access your systems; what fulfilment needs you have – all of these will figure in any conversation you have with a potential provider. What is interesting is the one question that is often noticeable by its absence – that is, what is it that the customers want and expect from their contact with your organisation? Managing the quality of the call outcome – from the customer’s perspective – is probably the single biggest success factor that you need to think through before you embark on the outsourcing project. It is certainly the reason stated by many companies who were the early adopters of offshoring but who are now bringing their operations back in-house. The customers simply did not like the service. So how do you ensure that an outsourcer will provide quality? Firstly, if you are currently running an operation in-house, it is certainly worth benchmarking the current (insourced) performance so you have a baseline from which to draw comparisons. Experienced outsourcers can help you define a rigorous quality management process where a sample of calls, e-mails and letters that they handle are reviewed monthly and scored against set criteria. These results should be shared with you and the best outsourcers will then use this information to develop improvement plans for their agents and teams. Modern IT systems also allow online access to service level reporting information so you can see how the contact demand is being handled and track performance in real-time. But do consider asking for a monthly review meeting, too. This is a benefit in any even-handed business relationship because it will allow you not only to review results but also to discuss issue resolution and ideas for continuous improvement. What we are seeing as a trend in the marketplace this year is a greater variety in the types of outsourced relationship. No longer is it simply a binary decision of whether you operate your own call centre or outsource it all to a third party service provider. Now there are companies looking to use outsourcing to handle peaks in business demand, provide out-of-hours support and also business continuity – short-term call handling in times of crisis. The general theme that runs through these different types of requirement is flexibility. Just think about those organisations that recognise that customer contact is core to their business and therefore run their own operation, but who also look to outsourcers to help them manage their resources more effectively. A good example is website support. While keeping your own operation open 24 hours a day may not be cost-effective, backlogs of demand do build up overnight – typically in the form of e-mails that need to be answered the following day. This means that at the start of the day, as well as dealing with natural inbound call demand, there is also the e-mail contact to deal with. Ignore this at your peril, as unanswered e-mail enquiries will generate another contact, such as: “I sent you an e-mail and you haven’t replied”. Such failures are what we all strive to avoid. So using an outsourcer to handle out-of-hours enquiries and to filter those e-mails overnight can make good business sense, even if all they are doing is prioritising a call-back process for you to manage. Finally, when you are considering outsourcing, one of the big things you’ll need to consider is just how much of the process you can manage yourself and when should you ask for help. We find that there are two simple questions that determine the answer for most organisations. 1) Have you experience of running the operation that you are thinking of outsourcing? In terms of defining clear requirements for the outsourcer, it is a tremendous advantage if you yourself have first-hand exposure to the types of customer contact your business is working with, know how to manage them and understand the success factors in achieving a business outcome. 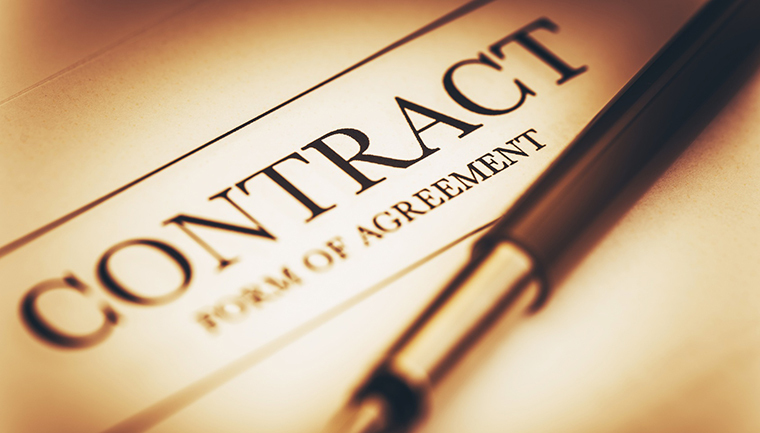 2) Have you managed an outsourcing procurement contract before? Again, it is a big advantage to have first-hand exposure to working with outsourcers – even if it is in a different business area to call centres. This allows you to understand, first-hand, what worked before. You will also have learnt lessons from those things that didn’t work. If you can answer ‘yes’ to both of these questions, then you are in a strong position to manage the outsourcing project using your own team. However, if this is a new customer contact operation that is being set up and/or you have no previous experience of dealing with outsourcers, you may want to think about getting external help from consultants who can ensure that the requirements are clearly specified, that you choose from the most appropriate short-list of suppliers, and that the contract schedules reflect the right effectiveness and efficiency measures by which you can track the performance of the service provider. 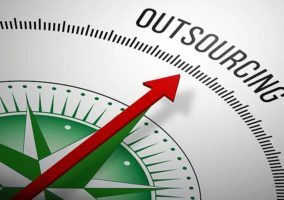 Those looking for a series of checklists on outsourcing can download RXP’s Outsourcing White Paper, free of charge, from its website. The site also offers an online search tool that holds details of 300 UK outsourcing companies to get you on the way to finding the right partner. Couldn’t agree more. However, the most crucial thing in this process is finding a reliable and trustworthy outsourcing service provider. When I was searching for a telemarketing agent for my company, I relied on my friend’s suggestion who has previous experience in this instead of picking a freelancer. And, I must say I am really happy with the Service of Staff India, thanks to my friend. So, from my experience, I would love to encourage all to get suggestion first from someone experienced.